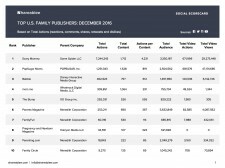 New York, NY, February 2, 2017	(Newswire.com) - ​​​Some Spider (owners of Scary Mommy, the largest parenting property in the country and CAFE, news and humor channel reaching over 80 million people monthly), signed a deal with Shareablee Inc., the leading authority on social media measurement and intelligence. Shareablee will provide the online publisher with analytics and rankings of key performance metrics that truly highlight why they are best in breed in this classification. “Scary Mommy has quickly become the leading voice in this space with the most engaged parenting audience on social. 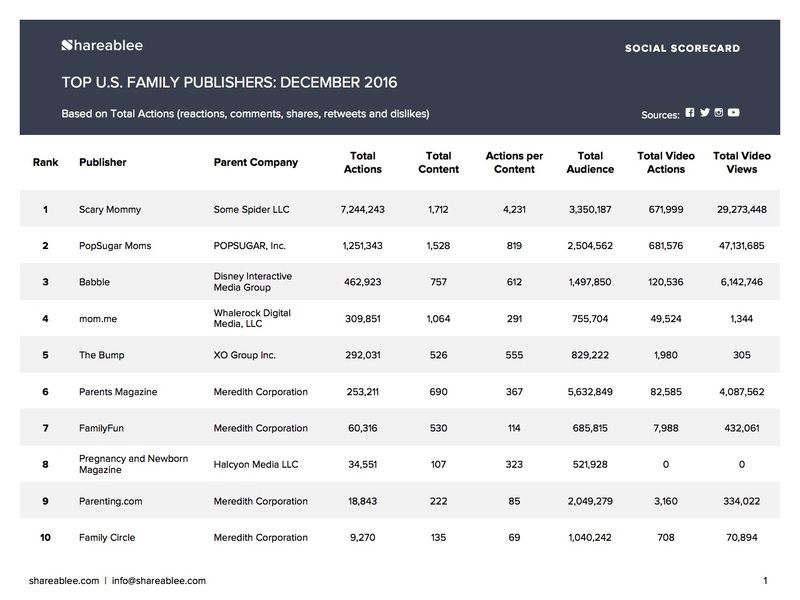 This past December, Scary Mommy alone drove over 7 million actions across Facebook, Twitter, Instagram and YouTube -- more than 5x that of the next brand. We are thrilled to be working with them as they continue to create some of the most innovative and shared content on social and mobile,” said Gloria Stitt, Head of Marketing & GM of Media at Shareablee. To boot, advertisers have been taking notice with national advertisers like Airbnb, Chrysler, Huggies, and Lego recently running major campaigns. Led by a team that includes the former co-founder of Diapers.com (sold to Amazon), the head of digital at The New York Times and the Entertainment Industry Manager at Facebook, Some Spider is a profitable digital media & entertainment company backed by Marc Lore and Vinit Bharara. We are home to two identity-based channels built for mobile and social: Scary Mommy (the biggest parenting property in the country, reaching over 100 million people each month), and CAFE (2016's breakout news and humor brand, reaching over 80 million people each month). And we are launching more. For more information, please visit www.somespider.com. Shareablee captures real-time interactions of more than +850M consumers against its global dictionary of brands, publishers, TV shows, influencers, celebrities and more. The company will mark its 4th anniversary in February closing 2016 with +230. Shareablee's roster of platform clients consists of many industry leading media companies and brands, including the NBA, WWE Warner Bros, P&G, Hulu, NBC, AOL and Luxottica. The platform also includes subscribers from leading advertising agencies represented by Publicis, WPP, Maxus and Interpublic Group. For additional information, please visit www.shareablee.com.